Happy holidays from all of us here at Lunarch! Today’s Friday event on the Prismata alpha server will be a little different than usual. 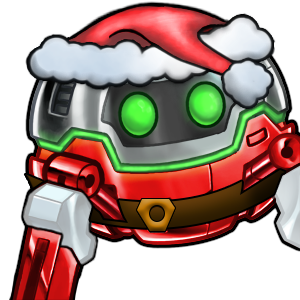 This time, you’ll get a chance to buy a special Prismata unit: ROBO SANTA! Robo Santa will bring you gifts galore, regardless of whether you’ve been naughty or nice. The event goes live at 4pm EST. As usual, there will be an encore next Tuesday. Today we’re revealing the rest of the changes that we’ll be deploying in our upcoming Prismata balance patch. Part one was posted here. Before I get to the changes themselves, I want to announce a new Prismata alpha survey that has just gone live. We want as much feedback as possible on events, as well as any suggestions you might have concerning anything else in Prismata. In addition to a boatload of buffs, nerfs, and other small rebalances, we’ve also somewhat modified our approach to balancing some of the more extreme units in Prismata (Zemora, Savior, Thunderhead, and so on). We’ve added a lot of crazier units over the last few months, and many players told us that they felt that the influence of these units on Prismata games was a bit too strong, so we’re making some conscious efforts to reduce their overall impact on the game—not by nerfing them, but by making it more necessary to mix in other strategies and tactics when going for them. This patch has taken a little more effort than usual to put together as there are a lot of changes, and many of our intended tweaks required a lot of testing, iteration, and refinement. In particular, units like Savior have been overhauled quite a lot, and these changes required many many hours of testing (we probably experimented with over a dozen Savior variants). Thanks to everyone for being patient for this one. Below is the complete list of changes. The patch will go live sometime in the next 24 hours. I’ve been eager to formally reveal the changes we’ll be pushing in our upcoming December balance patch, but that list of changes has grown quite long, so I’m going to be breaking things up across a couple of articles.